The Road to 2020 is a global event series designed to engage individuals and organizations who are passionate about social justice, arts, ecology, wisdom and healing traditions, bringing together grassroots movements to further the cause of worldwide unity and peace. Since 2016, the series has included multicultural and interfaith events in India, Africa, Australia, Canada and the USA including featured events such as U Day Ethiopia at the African Union with the United Religions Initiative and other partners, as well as the Return to Country of Mungo Man and Fields of Healing Byron Bay, in partnership with Indigenous Australian leaders and communities. 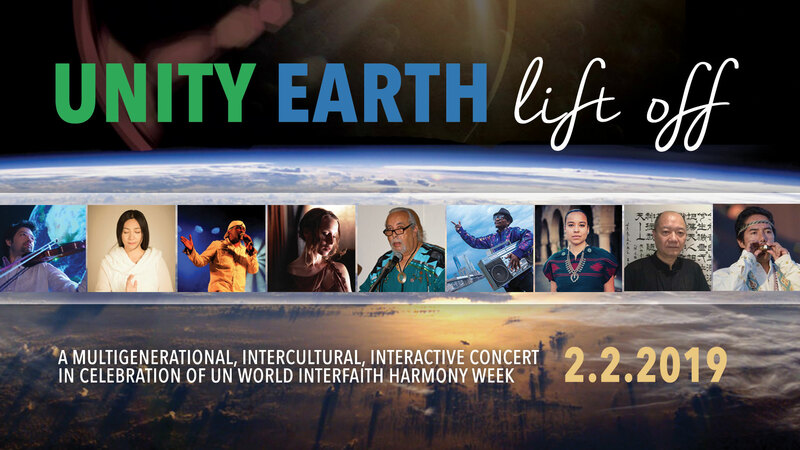 The Road to 2020 now turns to New York City for UNITY EARTH: LIFT OFF, a multigenerational, intercultural, interactive concert in celebration of the United Nations World Interfaith Harmony Week. Set at the historic United Palace in Washington Heights, the event will bring together musicians, indigenous leaders, diplomats, scientists, peacemakers, interfaith and faith-based activists for an unforgettable showcase of unity and peace. In November 2019, the series will turn to India for the next U Day Festival a 12 day celebration of unity and peace across three of her sacred cities. We will then be converging in Jerusalem, Jordan and Palestine for UN World Interfaith Harmony Week on Feb 1- 7, 2020. All these global events are set to culminate in the Caravan of Unity Across America in September 2020. The Caravan will be a globally broadcast display of solidarity designed to bring together grass-roots movements in ecology, arts, the wisdom traditions and social justice. This historic tour will begin in San Francisco on September 1, 2020 and finish in New York on the International Day of Peace, September 21, in support of Sustainable Development Goal #16 (Peace). If you have any questions about The Road to 2020 or would like to get involved, please contact us! Our goal is broad, positive public impact. To this end we intend to use the power of celebrity and the joy of music to engage with mainstream news media and influence public opinion. We are planning 7 major musical transformative events to take place along the route. In order to reach the largest audiences possible, we will host virtual and livestream events throughout the Road to 2020 and Caravan of Unity, engaging our extensive networks of international organizations and contacts to spread the word to their worldwide constituencies through these events. We will chose spiritually powerful places to gather in ceremony and ritual with strong indigenous participation for the healing of the Earth as well as the wounds of our history. Focusing on healing and restoration will fuel us spiritually and inspire increased attention to our relationship to the land that nurtures us. Another goal is to engage and empower local service, interfaith, interspiritual, ecological, activist and cultural communities who are on the ground in the numerous cities we visit, to lay a lasting foundation for these groups to promote their work and vision in synergy with the work and vision of other groups: a further example of peace and unity lived together. The Road to 2020 launches with an event at the United Nations Chapel in NYC on 28 Oct. 2016, to celebrate the UN Week of Spirituality. 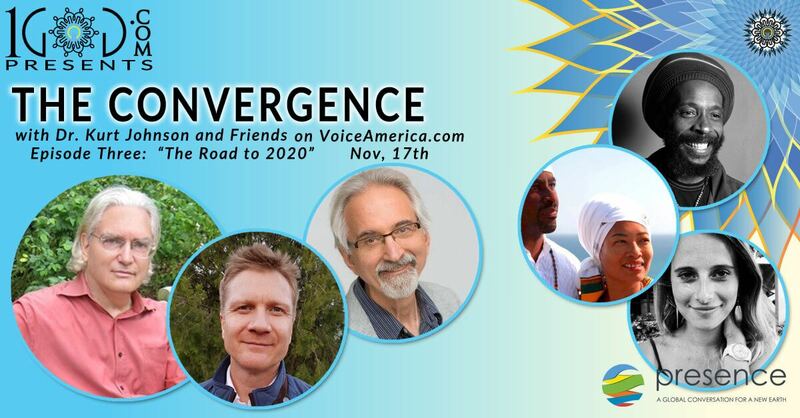 Beginning 3 Nov. 2016, on VoiceAmerica.com, The Convergence is a 13 episode radio series with host Kurt Johnson which explores Uniting the Tribes in the Interspiritual Age. Designed to be an instrument for fostering a grassroots global unity movement, The Convergence Academy will offer courses, community and the opportunity to help co-create our future. More information. Sacred Australia will celebrate the return of Mungo Man with a Festival to be held in November, 2017. See the Sacred Australia Website for more information. U DAY II: Land of Origins The U DAY World Interspiritual Music Festival lands in Ethiopia- February 2018. U DAY VI in Los Angeles on 21 August, 2020, will also launch the month-long Unity.earth Roadshow Across America which will culminate in New York City. U DAY VII will take place in Central Park, NYC to coincide with the International Day of Peace. Conversations on “Laudato Si’,” the prophetic 2015 encyclical letter on ecology by Pope Francis,on cooperation with the United Nations in the search for integral development, on the Earth Charter & the global educational movement of the Earth Charter Initiative, on indigenous & other spiritual perspectives on Earth-caring & on other leaders in spirituality and sustainability, all in relation to the need to create a regenerative, spiritual, and sustainable ecological civilizations. This InterSpiritual Meditation Program is a seven-step universal process drawn from the world’s spiritual traditions. Developed by Spiritual Paths’ founder Dr. Ed Bastian in close contemplative collaboration with colleagues from Christian, Buddhist, Muslim, Hindu, Jewish, Taoist, and Native American traditions IMS can be practiced alone and in community with others. It pulls together key elements of contemplation and meditation shared by many traditions. The Crestone Convergence: Uniting the Tribes for a Livable Future: Local, National and Global Spiritual Unity and Activism. A group of activists, spiritual and secular, will gather to network and share their visions for a sustainable and inclusive world. As well, they will connect personally and as a group with the foundational indigenous and spiritual energies in Crestone. On the last day to cap it off they will have a live music concert. As well, the event will be filmed and made available to the public as a free online event. A nine-month (200-hour) multicultural Meditation Training Certification commencing in the fall of 2017. This training will explore a variety of contemplative practices and forms of meditation from all the major religious and spiritual traditions. More information. Join the One Spirit Learning Alliance for our 15th Annual Commencement Ceremony where we will present 70 newly ordained Interfaith/Interspiritual ministers to the community. This beautiful service will celebrate expressions of many faiths and traditions. More information. Join the One Spirit Learning Alliance and travel to the Timbavati region of South Africa, the ancestral homeland of the White Lions. African shamanic traditions hold the White Lions as sacred beings, humanity’s guardians in times of transformation. Receive the gifts of wisdom, healing, and divine love they are here to share with us.. More information. Answer your calling to be of service. Join the One Spirit Interfaith Seminary class to learn the wisdom of the world’s religious and spiritual traditions, and to reach for the best in yourself and call forth the greatness in others. More information. Train to become a spiritual counselor grounded in the Interspiritual perspective. Join the One Spirit Learning Alliance for a two year journey of self discovery as you learn to hold and companion others on their own spiritual journey. More information. Annual residential gathering with yogini Karuna teaching Kundalini Yoga in the tradition of Sikh master Yogi Bhajan. Deep spiritual exploration in the serene and beautiful surrounds of the Blue Spirit Yoga and Meditation Retreat Center in Nosara, Costa Rica. More Information. The practice of kundalini yoga as taught by the Sikh master, Yogi Bhajan. This yoga illuminates the answers to questions like: How do I want to live my life and fulfill my dreams? How can I be more spontaneous? How can I develop a deeper awareness of myself and spirit? How can I develop a more loving and compassionate heart? How can I be of deeper service to others? Videos and a workbook walk you through traditional kundalini yoga kriyas and weekly fun activities that delve into your creative expression, along with healthy yogi recipes to give your body more vital energy. More Information. Karuna is a featured teacher at this Festival. About 2000 people from Europe (and some from Africa, Asia, America, etc.) come together in a natural environment to practice 8 days of Kundalini Yoga and other activities related to the teachings of Yogi Bhajan, including 3 days of White Tantric Yoga. They enjoy a special diet, many inspiring workshops by international teachers, and lots of song, dance and fun. It also provides special attention to newcomers who have little or no experience of yoga practice. More Information. International Woman’s Day, March 8, 2017, is celebrated by video conversations between major yoga teachers Karuna and Shiva Rea. World Health Day, April 7, 2017, is celebrated by video conversations between major yoga teachers Karuna and Elena Brower, posted at www.1god.com/convergence. More Information. Sponsored by The Contemplative Alliance and the Sophia Institute, this gathering will explore the many aspects and deeper meaning of restoring wholeness. The focus will be on young people under 45 years of age, and we will seek to bring together a diverse group of Americans, representing many cultural, ethnic and spiritual traditions, to show that diversity and unity go hand in hand. In colaboration with Patheos.com, Light on Kundalini offers daily postings on Yoga, including yoga kriyas, asanas and mantras, commentaries on the world’s wisdom traditions and hints and guidance on health and wellness by Karuna. Karuna is a Yoga spokesperson for Patheos.com, The Website for the Future of Faith. More information. Sept 11-21, annually. Pathways to Peace, Larkspur California. The Culture of Peace Initiative (CPI) is a UN-designated “Peace Messenger Initiative” with participants in all the world’s regions. In the spirit of the original vision that brought forth the Charter of the United Nations, the purpose of this local and global Initiative is to build a Culture of Peace in the 21st century, uniting the strengths of organizations, projects and peoples in order to make Peace a practical reality for the children of this and future generations. The annual highlight of this Initiative is the International Day of Peace (Peace Day), which is celebrated worldwide on September 21. In this spirit CPI annually co-sponsors both The 11 Days of Unity (with We.net and others), and The Summer of Peace (with The SHIFT Network, and others). More Information. One of the world’s largest annual global meditation events, in celebration of the International Day of Peace. Sponsored by Gaiafield Project, Unify, and Uplift Connect. More Information. An annual event, Global Oneness Day is a day dedicated to celebrating our Oneness with the Divine, each other and all of Life. Similar to Earth Day, which galvanized the global environmental movement, Global Oneness Day has become a catalyst for spiritual activism and the emerging global Oneness ushering a new paradigm. Global Oneness Day is our day to celebrate unity in our diversity, as a community consecrated to serving humanity’s collective awakening. More information. An initiative of Center for Earth Ethics and the Forum 21 Institute, “Healing and Balancing Mother Earth-Sacred Sites of Japan” is one of a series of programs where indigenous elders are “called to” heal and fortify the planets sacred sites. 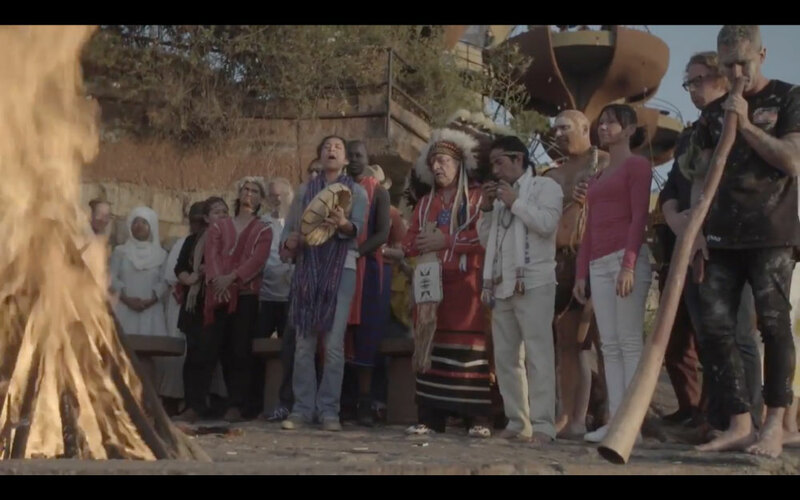 The Sacred Sites Program of Japan will bring 8 Kogi and other indigenous leaders from North, Central and South America’s to Fukushima and Mount Fuji, where they will through prayer and ritual help balance and fortify the planet’s spiritual network. 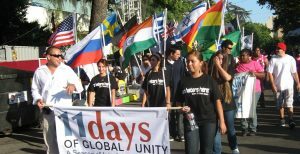 11 Days of Global Unity is a worldwide platform for changemakers that features a convergence of festivals, concerts, forums, Tele-Summits, broadcasts and other programs promoting peace, justice, sustainability and transformation that annually includes as many as 700 associated events in over 60 countries around the world. Culminating on September 21st, the U.N. International Day of Peace, 11 Days of Global Unity highlights 11 Campaigns For Change which call forth the values, spirit and service needed to move us towards a culture of peace and a world that works for all Participants in 11 Days of Global Unity have included Archbishop Desmond Tutu, Jane Goodall, Deepak Chopra, Daniel Ellsberg, Amy Goodman, Bill McKibben, Eve Ensler, Tavis Smiley, Arun Gandhi, Marianne Williamson, Patch Adams, Barbara Marx Hubbard, Neale Donald Walsch, Robert Thurman, Hazel Henderson, Riane Eisler, Jonathan Granoff, Lynne Twist, Rabbi Michael Lerner, Helen Caldicott, Indigenous Grandmother Agnes Pilgrim, and many others. More information. Conversations on “Laudato Si’,” the prophetic 2015 encyclical letter on ecology by Pope Francis, on cooperation with the United Nations in the search for integral development, on the Earth Charter & the global educational movement of the Earth Charter Initiative, on indigenous & other spiritual perspectives on Earth-caring & on other leaders in spirituality and sustainability, all in relation to the need to create a regenerative, spiritual, and sustainable ecological civilizations. The Crestone Convergence: Uniting the Tribes for a Livable Future: Local, National and Global Spiritual Unity and Activism. A group of activists, spiritual and secular, will gather to network and share their visions for a sustainable and inclusive world. As well, they will connect personally and as a group with the foundational indigenous and spiritual energies in Crestone, Colorado. On the last day to cap it off they will have a live music concert. As well, the event will be filmed and made available to the public as a free online event. Australia will celebrate the return of Mungo Man with a Festival to be held in November, 2017. See the Return to Country Website for more information. Drawing inspiration from the eight previous Assisi conferences, and again participating this year as a co-sponsor, Unity Earth is pleased to be promulgating this important message as part of the road to a new earth. The 2018 Crestone Leadership Conference follows on two years of Forum 21 Institute, and partners’ sponsoring of two conferences on “Spirituality and Sustainability” in Rome-Assisi, and joining with Unity Earth, and others, for The Crestone Convergence program, held in Crestone, Colorado, in 2017. These activities highlight several years of Sacred Site ceremonial activities around the world, joining shamanic practitioners in healing work for Mother Gaia. These have been sponsored in Japan, Australia, Ethiopia, Italy, and for 2018 at the “Four Corners” near Crestone. The 2018 Crestone Leadership Conference is an intimate gathering of stakeholders furthering the visioning and support of this work. Coinciding with The Parliament of World’s Religions, will include leaders of various organizations, social influencers and activists whose life’s work is dedicated to the overall mission of peace, unity, harmony, justice, and a successful transition to the next stage of spiritual evolution toward a global culture of peace. The UNITY EARTH Center will launch its online platform in mid 2019 as an instrument for fostering a grassroots global unity movement, founded on the spiritual fraternity of humanity. U DAY III: Land of Spirit. Participants will experience the sacred city of Varanasi on the Ganges River, participate in the annual Mahindra Kabira Festival there and visit Benares Hindu University. In addition, they will visit Sarnarth, where Buddha gave his first sermon; travel to the sacred city of Rishekesh, also on the Ganges River, where a Women’s Spirituality Summit will be hosted; and then end in Delhi where numerous public events will be held. The United Religions Initiative (URI) is UNITY EARTH’s U Day India 2019 partner. UNITY EARTH, working with local host organization EcoPeace, with 25 years’ experience in the Middle East, brings all the momentum of U Day India 2019 to the “Holy Lands” around the Jordan River basin, Israel, Jordan and Palestine. 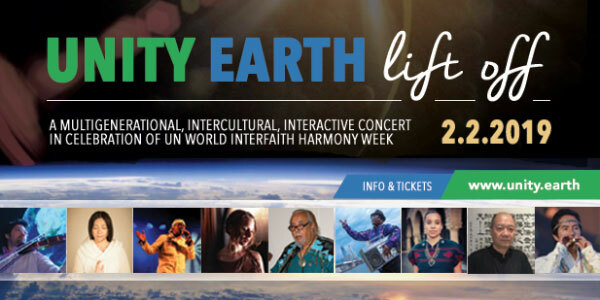 This event, held during UN World interfaith Harmony Week, will be another close collaboration with the URI, with Ambassador Mussie Hailu again taking a lead role in diplomacy and networking, as he did in U Day Ethiopia 2018, along with the UNITY EARTH team and the ground-partners EcoPeace. Events will comprise of keynote speeches, musical performance and multi-faith spiritual ceremonies. Featuring A Love Story: The Global Status Report on People and Planet. This InterSpiritual Meditation Program is a seven-step universal process drawn from the world’s spiritual traditions. Developed by Spiritual Paths’ founder Dr. Ed Bastian in close contemplative collaboration with colleagues from Christian, Buddhist, Muslim, Hindu, Jewish, Taoist, and Native American traditions IMS can be practiced alone and in community with others. It pulls together key elements of contemplation and meditation shared by many traditions. More Information. March 12 – 16, 2018. near San Jose, Costa Rica. Connect and Engage in experiential process, open space, and creative collaboration with spiritual leaders and seekers across traditions and continents. The conference will feature several prominent spiritual leaders from across Central and South America ~ to be announced ~ plus spiritual leaders from India, Europe, and North America.